Scooby-Doo would often get up to all sorts of antics whilst exploring some sort of curious dark house on a hill with his investigative colleagues. I’ve often heard 90 Montpelier Road in Brighton referred to as ‘the Scooby-Doo house’ on account of its former haunted look. It is now gleaming though after the completion of an extensive refurbishment project which cost its owner, HR Developments, in excess of £300,000. 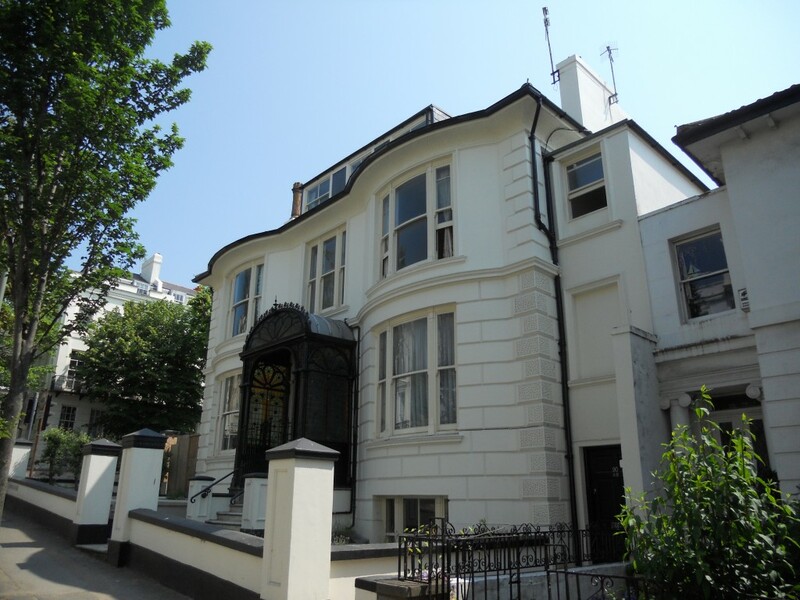 Timothy Carder described the corner villa in his Encyclopaedia of Brighton as being “notable on account of its cast-iron and stained-glass porch”, which is reached via a flight of gorgeous marble steps. 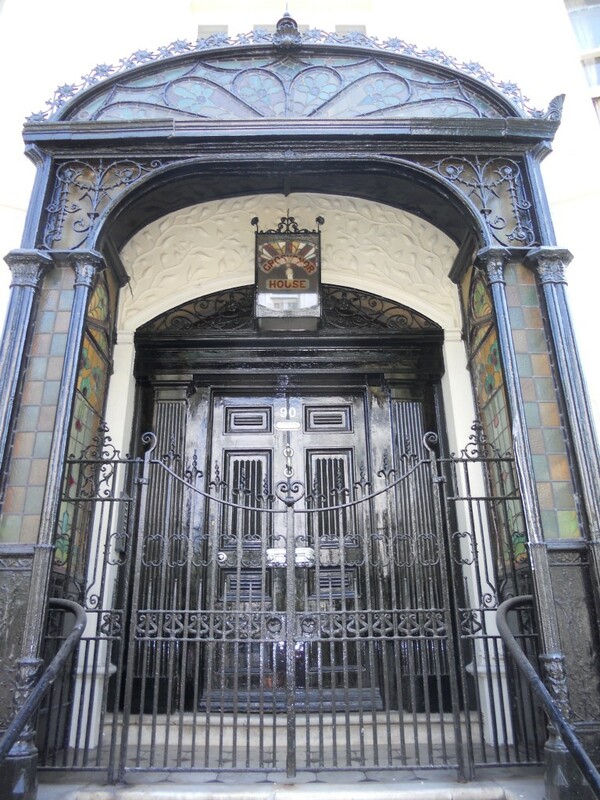 The porch has its own ornate gates, which is quite a rarity, but sadly the front gates at the entrance of the pathway are missing as are several components of what looks a fascinating mechanical doorbell system. Montpelier Road was developed from the 1820s and this particular building consists of two principal storeys along with a floor below and a floor above. This divides up into two flats in the basement, two on the ground floor, two on the first floor and one in the attic beneath a Welsh slate roof. The building was Grade II listed in 1971 and I understand that it has now been nominated for a prestigious Montpelier & Clifton Hill Association conservation award. A large part of the works involved transforming a non-original, but very old nevertheless, rear extension into a self-contained one-bedroom house. A horrible industrial-style sliding gate has been replaced with an appropriately-detailed wall on the Montpelier Terrace side of the building. An opening has been left though as a dedicated entrance – which includes a ‘VR’ Royal Mail collection box in the gatepost – for the occupant of the rear mini-house. As I stood outside before I met up with Dave Roberts, the ‘R’ in HR Developments, I heard all sorts of approving comments from passers-by (incidentally, Paul Hazeldine is the ‘H’). Some commented on the new plants and granite setts in the front garden. Others liked the refurbished double-glazed timber sash windows. Several said that it now shows up Montpellier Hall behind which is now looking very unloved, perhaps even derelict. Now that 90 Montpelier Road no longer looks haunted, ‘the Scooby-Doo house’ no longer seems an appropriate name for this grand historic structure. ‘Grosvenor House’, as mentioned on the porch lantern and on the chrome door furniture, is much more fitting. Many thanks to my one or two regular readers who got in touch to ask why I was missing from a couple of recent issues. My lack of appearance was not down to holiday or, indeed, laziness; but more down to an interesting illness that really knocked me for six. 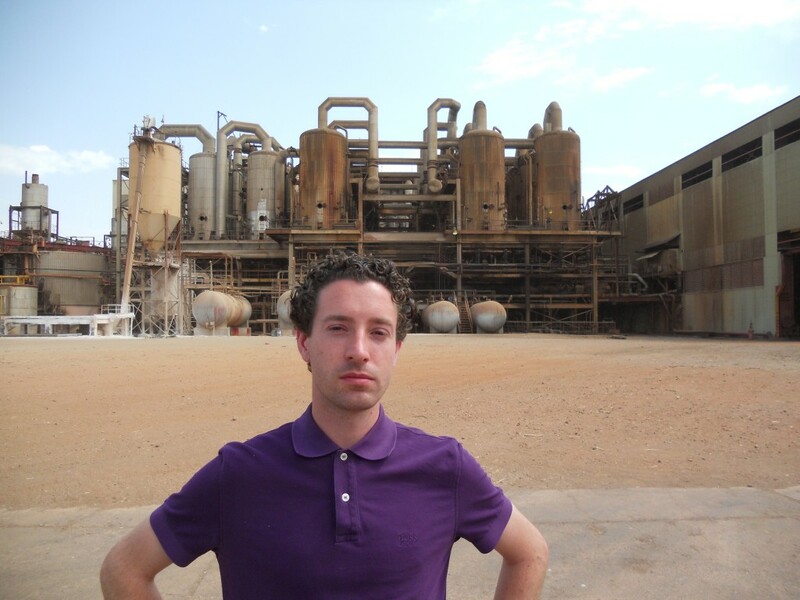 Work took me away for the trip of a lifetime to Sudan to visit Kenana Sugar Company with a brief stop in Egypt along the way. I remember well the two-hour drive around Cairo looking at the mosques (and several burnt-out residential blocks) against the background of the first rays of morning sun. 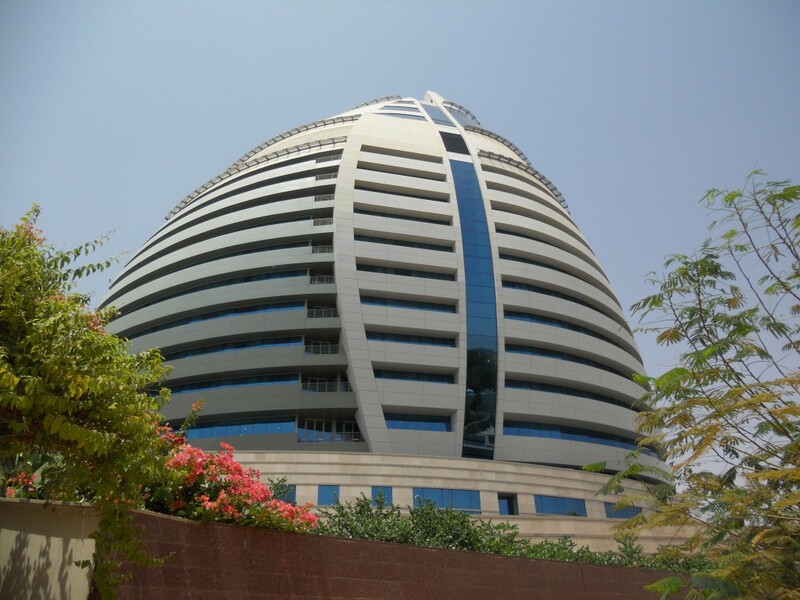 In Khartoum, we stayed in one of Sudan’s most famous buildings, the quite breath-taking Burj Al-Fateh Hotel. The building’s oval curved facade is similar to that of City Hall in London. It therefore resembles a motorcycle helmet but is said to have been designed with the image of a sailing boat in mind. It is known as “Gaddafi’s Egg” though (having been funded by Libya and, well, resembling an egg). The Burj Al-Fateh overlooks the hectic spot where the Blue Nile and White Nile meet to form the Nile. This is a site of major geographic interest. The junction creates three distinct conurbations of which Khartoum is one (the others are Omdurman and Bahri). There are four communities in fact. The fourth is Tuti Island which is in the middle of the intersection. Tuti Bridge, the first suspension bridge in Sudan, was inaugurated by President Al-Bashir in 2009 to connect the island with Khartoum. The view of Tuti Bridge and Tuti Island from the hotel is truly staggering – and a lot to take in from the upper floors. I’ve never entered a British Embassy so visiting that in Khartoum was somewhat of a treat. The building is heavily fortified, as one would expect, but it looks like Crawley Town Hall (well, what I imagine Crawley Town Hall to look like). I will be eternally grateful to His Excellency, the British Ambassador, for suggesting that I might wish to rush back to my hotel when I changed colour during our meeting. My illness might have been caused by me getting extremely tired or drinking the water but I’m sticking with it being down to eating raw camel hump and lung – local delicacies, I’m told. The buildings in Khartoum are getting interesting. They’re nothing compared to the food though. I had high hopes for the Sackville Hotel in 2004 when its owners announced refurbishment plans with a view to regaining its five-star status. The building mysteriously collapsed in 2006 during the works. The empty site has sat in a state of dreadfulness ever since it was swiftly cleared of debris. 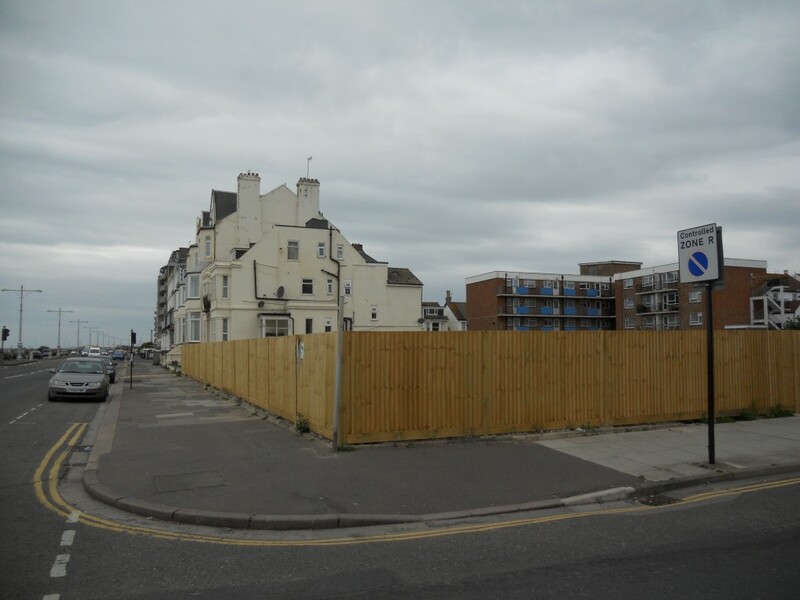 Like all development sites around Brighton & Hove (including several eyesores on the West Hove seafront), each planning application is an opportunity to create the modern equivalent of the architectural triumphs of the past. Previous seafront triumphs include a number of groundbreaking architectural treats. 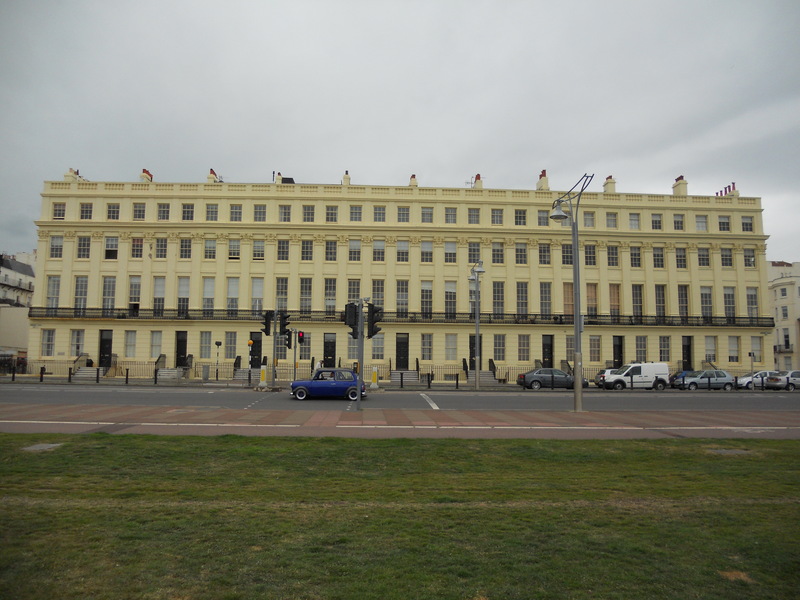 1798 saw the commencement of the construction of Brighton’s first unified composition, Royal Crescent, consisting of a series of Georgian townhouses faced with black mathematical tiles on the eastern seafront. Brunswick Town and Kemp Town followed during the 1820s as self-contained Regency settlements. The yellow-brick West Brighton Estate of Grand Avenue and its neighbouring boulevards followed during the 1870s as a fine example of late Victorian splendour. Not a single one of these developments did not borrow ideas from buildings of the past. Indeed, the Regency style is essentially a Georgian take on the buildings of ancient Greece and Roman. But each development was true to the style of the day. Representing the best of the Edwardian period, The Lawns was built on the Hove seafront in 1904 as a terrace of four glorious townhouses. By the 1920s, they had become a hotel which, after several name changes, became the Sackville Hotel. A planning application was recently submitted for five new townhouses on the site with a detached house behind. Although I do not support the proposed communal underground car park, I am certainly in favour of the general concept of individual houses on the site. There is a problem though. The architect in question, Alan Phillips, appears to have abandoned all of his principles to hoodwink the neighbours into supporting a scheme that ‘fits in’. Instead of pushing for a graceful and respectable design in the style of our day, he has opted for a box with, essentially, a fake Regency house stuck on the front. The Regency period actually began in June 1811 – that’s 200 years ago! Giving Brighton & Hove a poor quality Neo-Regency building in a predominantly Victorian and Edwardian area insults our intelligence. Ideas for a suitable Regency punishment to this architectural crime should be sent to the planning department.